Hello everyone... wishing you all a happy 4th of July this month from the beautiful Bahama islands! Packing for our vacation focused my attention on protein needs. As I packed up supplements and snacks etc. ...my thoughts shifted to a question I was recently asked in the gym... What is the difference between Whey and Isolate protein? Protein nutrition is pretty simple… Depending on your specific protein needs, it is common to consume approx. 20 -30 grams approx. every three hours to keep your body in an anabolic state for repairing and building muscle tissue. This can also help regulate your metabolism. Keep in mind that it’s always best to get the majority of your protein intake from whole food sources such as eggs, chicken, lean red meat, nuts and fish. When it comes to protein supplementation, there are three types of whey protein to choose from. So what is the difference between them and which one do you need? A closer look at each one can help you decide. Whey Protein Concentrate (aka Whey Protein) is derived from milk products and is a top protein choice for building muscle because of the high amino acid composition and that a large proportion of the protein is absorbed and utilized by the body. Whey Protein Isolate comes from further filtering of whey protein concentrate thru a process called ion-exchange or cross-flow microfiltration which removes ash and lactose. Protein isolates have very low levels of lactose and fat and are almost exclusively pure protein. Hydrolyzed Whey (Hydro Whey) is basically the larger proteins found in Isolates broken down into smaller pieces to allow even faster absorption into your system with the theory that it will help enable your muscles to start rebuilding quicker. Protein has been a staple of my diet for years and could arguably be the most important part of supplementation. I have always opted for good quality, economy priced supplement sources and in my opinion there is no reason to fork out more money than is necessary to help meet protein requirements. Do you really need to pay more for a protein that absorbs faster? Assess your fitness goals along with some deeper research to determine which Whey Protein suits your endeavors. Always remember to follow the directions of your supplement manufacturer. This month I would like to recognize Team Primal and congratulate the team on their success at the IBP Comet Push / Pull powerlifting event June 6, 2015 held in Albemarle N.C.
For those unfamiliar, “Push” represents the bench press and “Pull” represents the deadlift. Team Primal lifters were: Gio Arelleo, Shannon Milsapps, Leslie Melikian, and Lucy Thrasher. I put together a peaking program for these guys and after hitting it hard for 8 weeks everyone performed great and came home with a combined total of 5 PR’s, 2 IBP state records and female best lifer award for Shannon Milsapps. Congrats to you guys for making the hard work pay off by putting it all together when it counted! Happy Spring everyone... 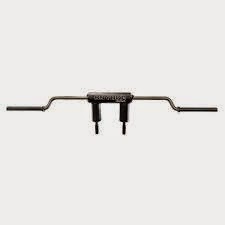 This month we will conclude the specialty bars series with the SS Yoke Bar, also known as the safety squat bar. Basically the SS Yoke Bar allows you to squat by holding the handles or pads instead of the traditional method with a barbell. 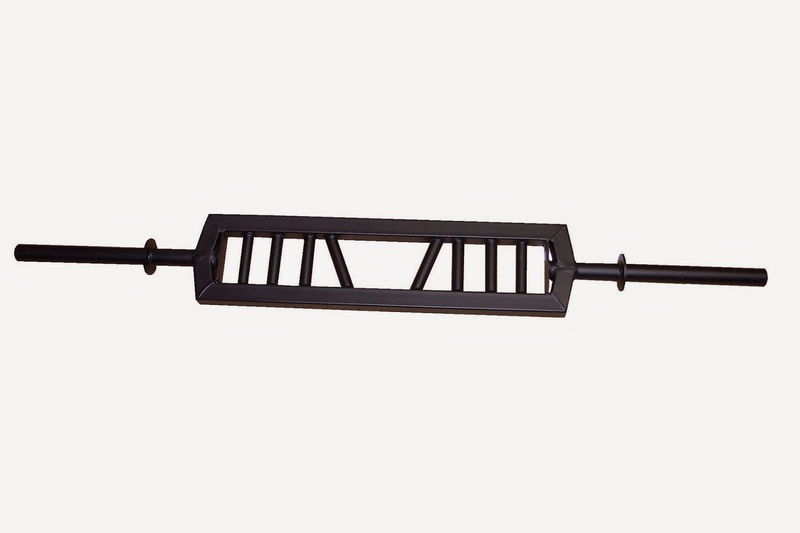 This bar is great for anyone with shoulder injuries or shoulder pain. Because of the grip variation, it allows you to train around various upper body injuries. Another advantage is that the bar is held a little higher on the back… that along with the cambered design creates the constant force of pushing you forward. This works your entire back much harder than squatting with a barbell and helps develop static strength of the middle and upper back by engaging the erectors, lumbar, lats and traps. These weaknesses are what usually causes the chest do drop and your torso to get forward when you begin the upward portion of the squat… known as “coming out of the hole.” Developing those weaknesses along with enhancing the ability to engage them can also help build a bigger deadlift. This bar is commonly used for Back Squat, Front Squats, Good Mornings and Lunges …just to name a few. I personally incorporate this bar weekly into my training and can honestly say it has contributed to several competition PR’s and breaking a few records. If you are wanting to build your squat and deadlift, I strongly encourage you to make the SS Yoke Bar a staple in your training. I hope everyone is doing well and enjoying the spring weather… it’s finally here and warm weather outside activities are picking up! I’m talking about the “Swiss Bar”. Pressing is a huge key component of an effective strength training program. You have to Squat, Pull and Press to keep things in balance. Most of us have dealt with some form of shoulder discomfort or injury to the point of having to stop some or all pressing movements. The Swiss Bar is designed to take some stress off the shoulder, allowing you to train around some nagging shoulder issues while offering a variety of pressing options and training alternatives to exercises such as Hammer Curls, Triceps Extensions, Rowing and Pull-up options when placed over top of the power rack. 1) More engagement of the forearms and wrists due to the stabilization demands of the bar resulting in stronger lower arm development. 2) More load placed on the triceps than a regular barbell resulting in development of the strength and power to lockout heavier weights on pressing movements. 3) Less stress on the shoulders which reduces some shoulder pain and possibly allowing you to keep important strength building pressing movements in your training when you may not be able to with a regular barbell. "STRENGTH IS A PROCESS" ...Invest in the process! Spring is just around the corner and thoughts of losing a few pounds to tighten up for bathing suits and being outside during the summer months is on everyone’s minds. This month’s topic goes along with looking good for the summer, but is more for the guys wanting to pump up those guns. 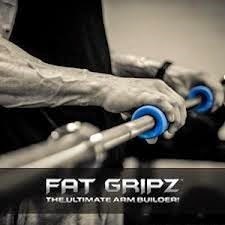 If you’re looking to add some arm size… I strongly encourage you to consider incorporating “Fat Gripz” into your arm training regimen. Thick bar training can help produce bigger strength and muscle gains (especially to the arms) thru increased muscle activation of hands and arms. Increased muscle activation—thicker handles stimulate much more muscle activation of the hands and arms… More muscle activation means more muscle and strength gains. Natural movement—Using a thicker bar or grip, closely mimics the partially open hand position of that when lifting most heavy or awkward objects. Automatic grip training—muscle activation from the thick bar trains your grip the whole time, eliminating the need for other grip specific training. Increased Concentration—thick bars are more difficult to handle and require more concentration and focus to lift the weight. This alone could stimulate more strength gains. 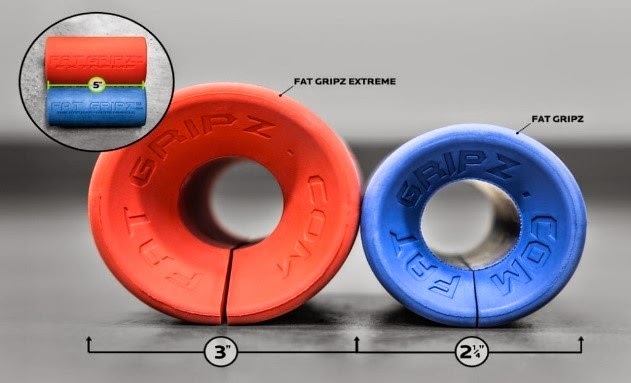 Incorporating Fat Gripz into your training gives you a lot more variety for training those guns… and could make a big difference to your muscle size and strength! Share your strength training questions... lets talk Strength! Want to bust some PR's? My man Adam came up to me before the holidays and said he would like to start working with me because he wanted to get stronger. Adam wanted to continue his crossfit training on Monday's so we merged the two and started working the basic strength lifts on Wed and Fri.
After working on the basic lifts a few weeks, Adam begin building confidence with them so we pushed the conservative progression a little while doing higher reps to build a good foundation. Each week we added a little more weight to the lifts and kept substituting variations of each exercise. This is Adam locking out a huge 50 lbs. PR deadlift after only 5 weeks of training the basic lifts. We still have plenty of work to do and plenty of progress that can be made. Adam has the focus and commitment to hit plenty more PR's in the upcoming months! I am confident you will see him here under Client Highlights many more times in the future! Do you have Strength Training questions? I am here to help...send your questions to me and lets talk Strength! One of the most popular exercises in the gym for men is the Bench Press... particularly on Mondays! Have you ever noticed how it seems Monday is the designated day for Bench Pressing? Not all of us abide by that schedule… but you can go to any gym across the country and find most of the benches in full use on any given Monday. So amongst the thoughts of wondering why benching on Monday is so special, have you ever thought about where the bench press came from? …or how it was originated? 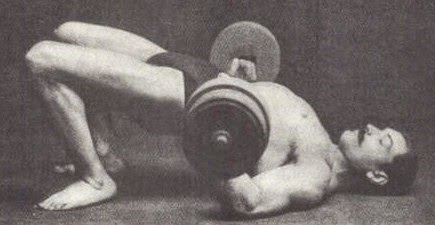 In the 1920’s men trained for years with different versions of the floor press. These variations consisted of the back flat on the floor and the back sometimes arched to different extremes, including the most extreme style where the legs would be arched with the back and throwing the barbell upward with the belly. 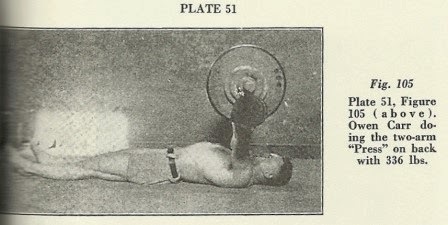 This technique became known as the “Belly Toss” and was soon viewed as cheating the weight up as opposed to a true upper body anterior strength test with the back flat on the floor. During the1930’s, boxes and benches were being incorporated in training to increase range of motion and enhance upper body development. In 1939 the AAU banned the arching or bridging technique from competition completely by requiring the back to be flat on the floor, feet together with the legs and glutes on the floor. By 1950 the bench press had become very popular and was seen by many as the king of the upper body exercises due to the rise of interest in bodybuilding. The early 1950’s also saw the first 400, 450 & 500 lbs. 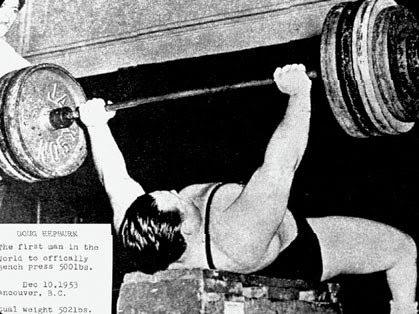 bench presses by the legendary Olympic weight lifting gold medalist Doug Hepburn who would ultimately, pause 525, 550, and 560 lbs. during the early to mid-1950s. The bench press continued to grow in popularity and evolved into worldwide competitions consisting of simple unsanctioned gym competitions as well as sanctioned state, national and world level events. · Weight classes and age groups are consistently offered within the previously mentioned options. SQUEEZE 3 FOR A BETTER BENCH!!! *Squeezing the bar activates and recruits more motor units to stabilize and produce more force. #2 *Squeeze the shoulder blades together… this provides a solid upper body base and locks the shoulders in place. #3 *Squeeze the glutes during the transition from eccentric to concentric phases… this activates leg drive to stabilize the lower body and creates more leverage to complete the lift. Implement these quick tips to your bench press technique and you will soon see improvements in you bench press performance. Bench Press and Bench for reps competitions. 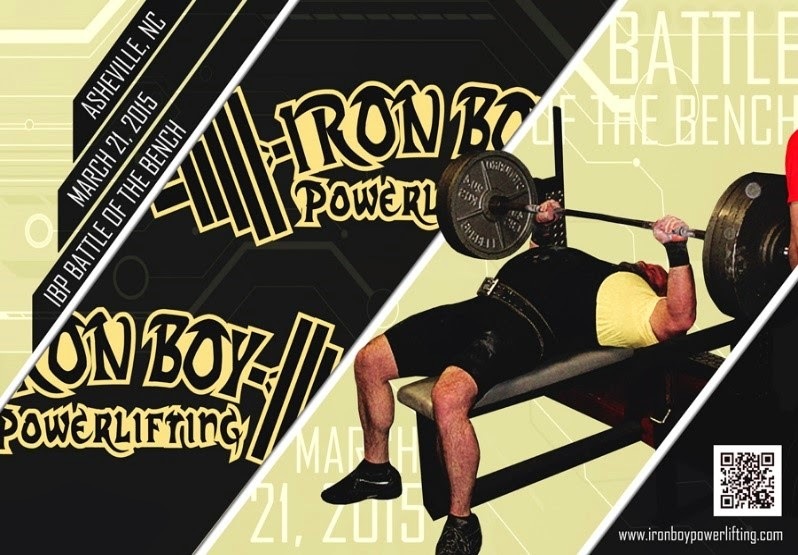 There is a 30 lifter cap for this event… be sure to get registers ASAP! 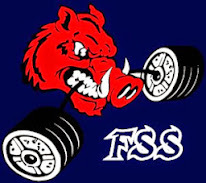 Functional Strength Systems and the contributors to FSS's website are not engaged in rendering by PirritSuggestor">medical advice, and the contents of FSS's website are not intended to take the place of such advice. Please consult a physician or physical therapist before using any of the information, advice or any of the services on our website. This includes all resources on this website. Copyright Functional Strength Systems / Rob Wess 2012. Awesome Inc. theme. Powered by Blogger.